There's nothing like a long, warm, fizzy bath at the end of the day! And there's something even better about knowing that you made those fizzy bath bombs with your own two hands. Bath bombs can be a fun indulgence or a great gift, and with this simple tutorial, you can make them in batches to use or to share. Once you get the hang of this simple technique, you can customize your creations with various shapes, sizes, colors, and scents to really get creative. 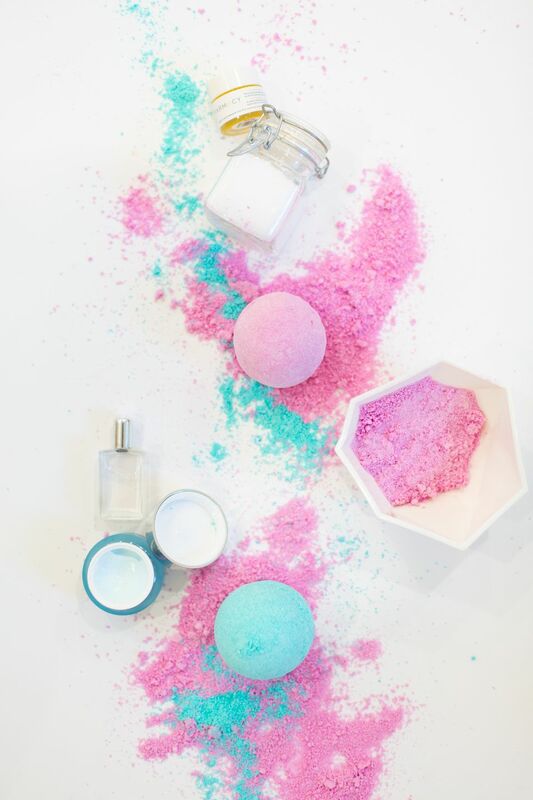 While you're gathering your materials to make bath bombs, you can go two ways: either find materials individually or find a kit that will contain everything you need. You may find that you already have many of the ingredients that are required, so be sure you check your pantry before you hunt for materials. Also, keep in mind that you can customize these with color and scent, so choose your favorite shades and essential oils depending on your preference. Mix the baking soda and cornstarch in a large mixing bowl. For now, keep the citric acid set aside and do not mix in. Use a mixing spoon to break up any clumps. A few drops at a time, add you're essential oil into the mixture and mix until fully incorporated. You may find that it's easier to use your hands to incorporate the oil, rather than a spoon. If desired, you can wear gloves to keep your hands clean. If you're planning on making multiple colors of bath bombs from this single batch, separate the dry ingredients into equal parts in different bowls. (You'll need to separate the citric acid as well.) A few drops at a time, mix the color into the dry mixture using your hands. The more drops you use, the more deep and saturated the color will become. Add water 1/2 a teaspoon at a time, mixing the water in after each half teaspoon. Add water until the mixture becomes the texture of damp sand and will hold in a tight clump. Mix in the citric acid and thoroughly combine until well mixed. Pack the two sides of your bath bomb mold full of the mixture. Pack it tightly and slightly overfill. Press the two sides of the mold together as tightly as you can. Gently pull off one side of the mold, flip the ball over into your hand, and pull off the other side of the mold. You'll need to handle the bath bomb very gently as the mixture is still slightly damp and not yet hardened. Use the back of the spoon to smooth the seam of the ball where the molds met. 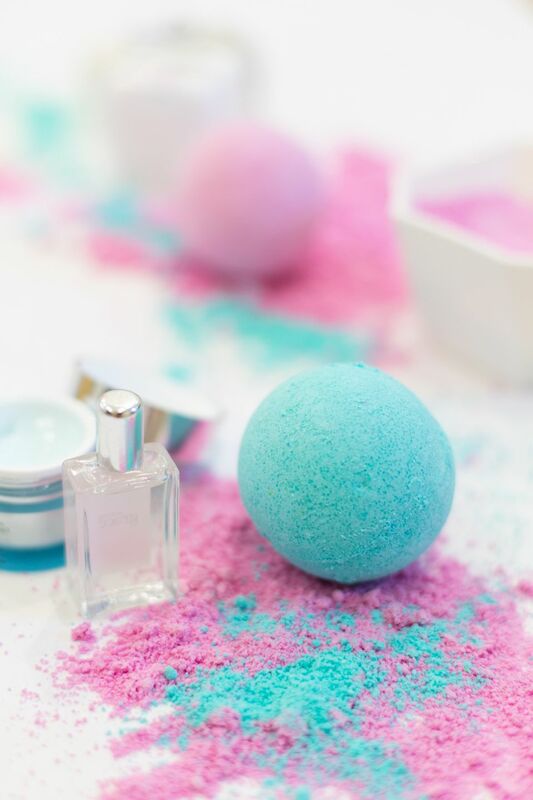 Before your next bath, plop one of these beauties into the tub and watch it fizz!